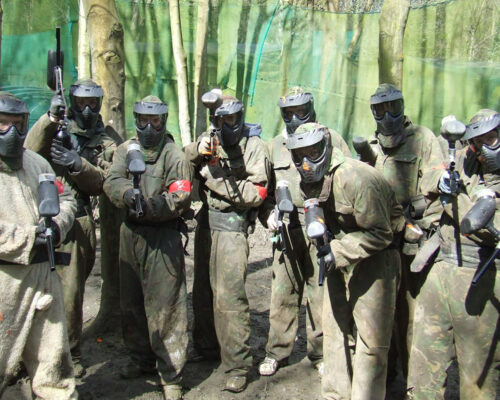 What better activity is there for your Stag Party Northern Ireland! 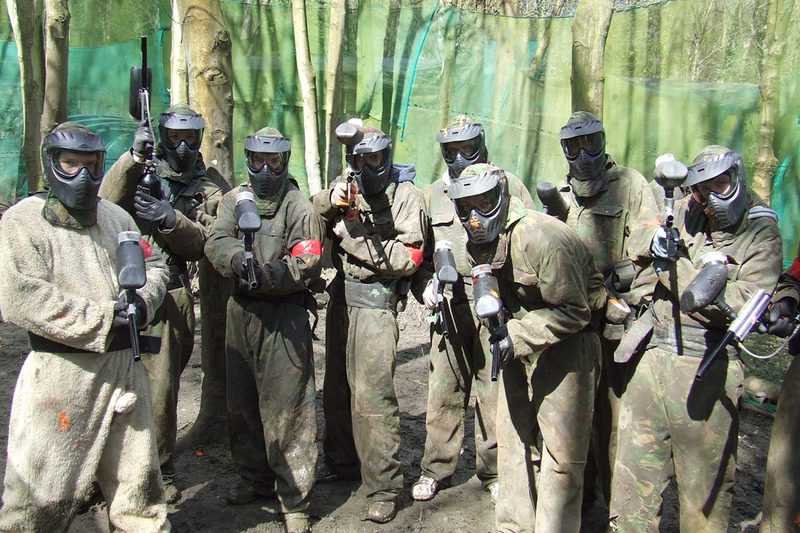 Paintballing is a great stag package to enjoy with your mates for a bit healthy competition! 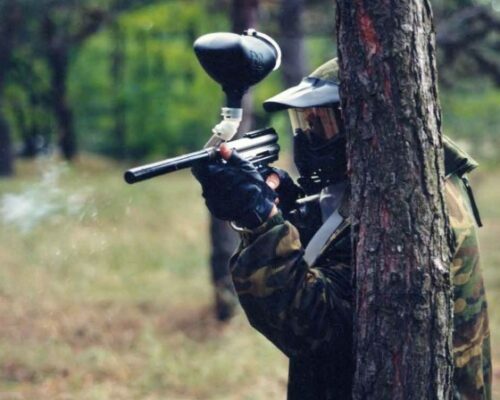 This paintball venue gives you the ultimate experience in combat! It is spread out over 5 fast and exciting zones, all which are built on a natural, wooded course. There are plenty of obstacles and you’ll also be battling the natural elements so this is as real as it gets! 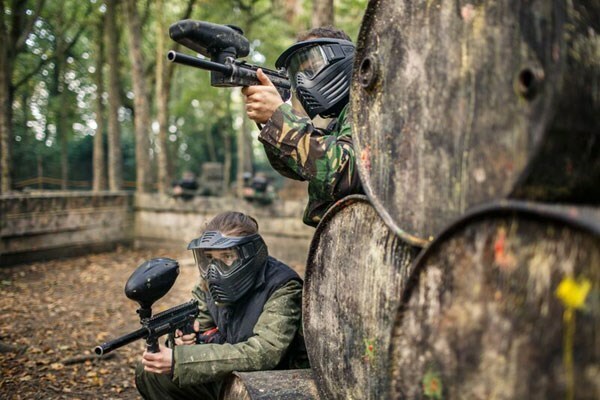 Once you have been issued with all your equipment issue and had brief on gun control and safety to handle these state of the art paintball guns, you’re ready to begin your stag paintballing session! Divide into teams then bunker down as you wait for the marshal to blow the whistle to start your ultimate combat experience! With 200 paint balls in your belt to get you going, you can blaze for glory and go solo for the supreme recognition, or work strategically with your team mates to secure victory for your side. 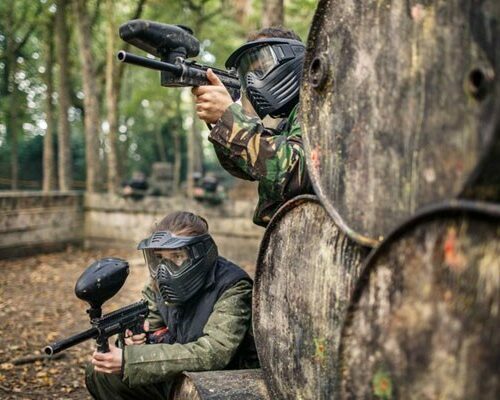 Do you have what it takes to be victorious on the battle field? Book now and test your nerve! Warm, comfortable clothing is recommended. This course can be muddy so old trainers/ fitted boots are ideal. There are Safe Areas in each zones so players can take time out during the session if needed. 200 Paintballs are included. Extra Paint balls can be purchased during your activity. These are priced at £6 per 100. For other similar Stag Party Ideas, what about our STAG CLAY PIGEON SHOOTING! Or go to our STAG PARTY PACKAGES for more Stag Party Ideas Northern Ireland!